Plecto is a business performance analytics software. It enables users to collate and analyze data from multiple sources, present them in various visual formats, and provide business owners and managers with an overview of their team’s performance. There weren’t a lot of Plecto reviews online, but of the ones we found, they seem to have generally positive ratings. We also shared its available subscription options. Users who recommended Plecto said that they find the program helpful in tracking their sales team’s performance. They also said that it is easy to use once it is up and running. There weren’t a lot of negative reviews about Plecto. One user merely cited that the product onboarding could take a while. 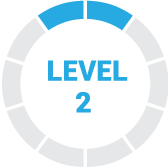 A user who left a positive review on G2 Crowd said that once you set up the program, it is very simple to use. He said that the clean interface makes it extremely easy to drive desired performance behaviour for both their sales development representatives and account executives. A user who left a negative review on G2 Crowd said that if there’s one aspect users should know, it would be the need to learn the program’s different formula in order to maximize its use. He said that it is not as plug-and-play as it could be, but acknowledges that it is not expected for a complex program to easily work out of the box. Plecto has two monthly subscription options priced at $17 for the Medium plan and $35 for the Large plan. The main difference between the plans is the access to premium features such as IP restriction, ability to limit dashboard access, custom themes, and availability of a dedicated account manager. Check out the list below of some of Plecto’s features. Sales Analytics — What to Measure & How to Boost Your Sales Revenue — Sales analytics or sales metrics measure how your sales process and reps are performing. In this guide, we’ll discuss the three types of sales analytics we recommend you focus on for your business. Sales Management — How to Manage a Quota-Busting Sales Team in 6 Steps — Sales management is the application of skills, tools, and experience to motivate your team and maximize your sales performance. This includes the goals you set for employees and the metrics you’ll use to measure their progress. In this article, we’ll explore the 6 key steps involved in becoming a quota-busting sales manager. 15 Ways to Improve Your Sales Performance — Sales performance is simply how efficient and effective your sales team is at generating sales revenue. In this article, we’ll share 15 ways to increase your sales performance, with an explanation of why each is key, what action is required, and what you should do next. This video provides an overview on how Plecto can help users make use of relevant data to drive their business performance. When choosing an analytics software, it’s important that the software integrates with other applications your business is currently using. Here is a list of some of Plecto’s popular integrations. Have a question about Plecto? Post it in our community forum. Once you get it set up, it’s very easy to use. The clean interface makes it extremely easy to drive desired behaviour around the office for both Sales Development Reps and Account Executives. If I had to say anything, it would be the need to learn their formulas in order to get going with it. It’s not as plug and play as it could be, but I acknowledge that it’s not very easy to make something that complex an instant onboarding. How easy it is to use….